The necropolis is located 1.5 km from the entrance to the village of Umoljani, at Dolovi, to the right of the road. 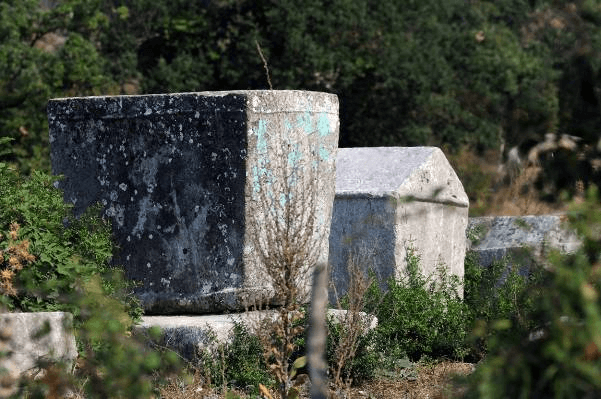 There are 53 tombstones: 6 slabs, 37 chests, 5 tall chests, 5 gabled roof tombstones, 11 old nišani and the remains of the foundations of an unexplored building that could be a church. Most of the tombstones lie north-south with minor deviations, while 13 lie west-east. They are mainly made of local stone and they are shaped as slabs, chests or gabled roof monuments. Decorations have been found on 14 tombstones, including 4 slabs, 3 tall chests, 4 chests and 2 gabled roof tombstones. A significant number of tombstones are decorated with realistic and symbolic motifs: twisted band, a double band of zigzag lines, lines in bas relief and high relief, a grapevine with a trefoil, a grapevine with spirals, a stylized cross, a Latin cross, a shield, a sword, a circle and a wheel-round-dance ,scene, i.e. funeral ritual dance, then a stylized tree with two pairs of symmetrical coiling spirals and a rosette). The village of Umoljani, along with the villages of Šabić, Kramari, Lukavac, Brda and Malešići, are located on the upper Rakitnica River right bank. Archaeological survey has been carried out in some settlements and pointed to traces of the prehistoric period. Many of the settlements have preserved their medieval names until today. The prehistoric site of Gradina is located on the hill above Umoljani katun settlement (shepherd settlement). In the late Middle Ages, the area from the Rakitnica River in the east and to the Trešanica River in the west belonged to the administrative district of Črešnjevo within the Neretva county, which was, at the beginning of the 15th century, divided by the Neretva River into the Bosnian and the Herzegovinian part on the left bank that belonged to the land of Hum, later Herzegovina, i.e. to the regional rulers of the Kosača family. The area of the south-east part of Bjelašnica, at the eastern border of the county of Črešnjevo, was apparently settled by the Vlach population (Vlach – katunari) who were engaged in cattle breeding. 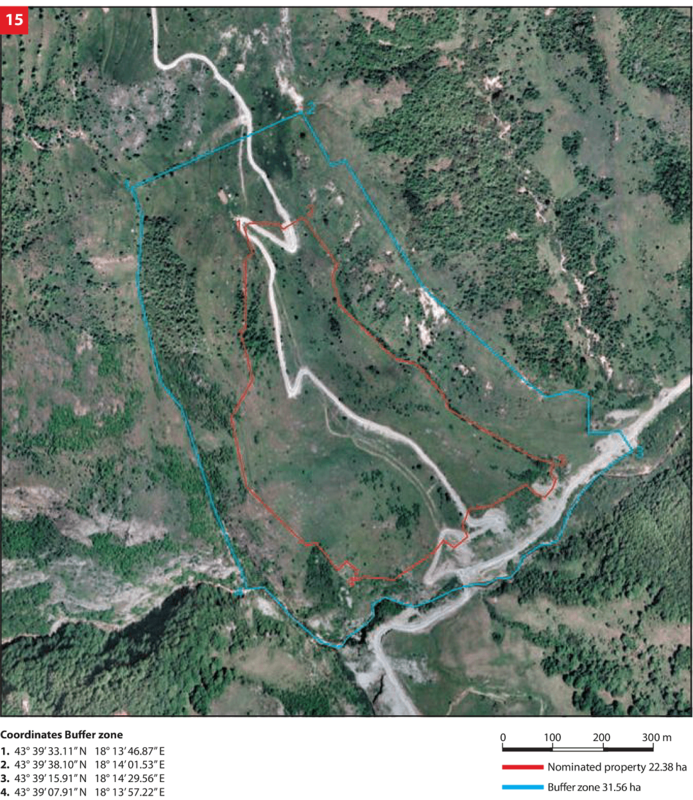 Toponomastic material of Bjelašnica – Vlahinja (two Bjelašnica sites), Vlaščeta and Katun in Tušili, Donji Kramari (Lower Kramari) and Gornji Kramari (Upper Kramari), Vlaško groblje (Vlach cemetery) in Lukomir – also supports the above argument. In the area of the upper Rakitnica River, where Šabići is located, traces of a municipal organisation may be detected by toponomastics. The village-municipality consisted of a small group of clan-based villages. The political function of the municipality was carried out in the town-fortification. There is the height ‘Grad’ (town) above Lukavac which was likely established by the village municipality. In the late Middle Ages, there were evident aspirations towards each territorial and political unit having its own town. Such fortifications were simply called “Grad” (town) without any detailed designations. A place name Varda, present in the villages of Umoljani, Tušili and Šabići, indicated an organised military and police service of such units. The municipally also had a common cult. Later centres of Jamaat with a mosque often corresponded to medieval municipal cult centres. It seems that Umoljani was a religious centre of that rural municipality and it remained as such. 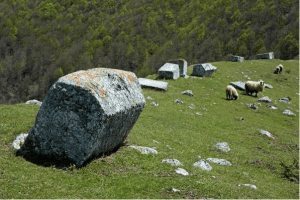 This is evidenced by the cite Crikvina (church) located between Umoljani and Šabic, as well as a mosque in Umoljani. 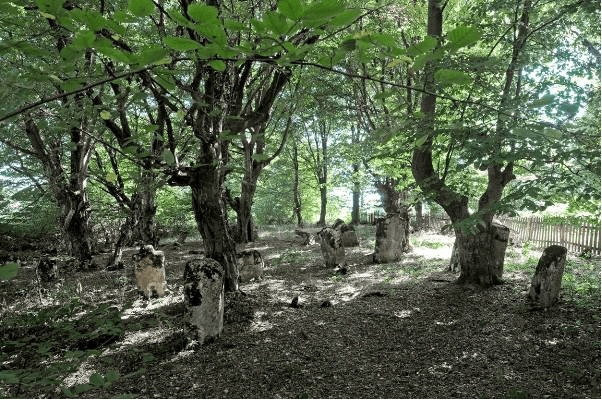 There is a place name Igrište in the same village, one of the names associated with cult places of pre-Christian cult, which were usually located in the settlements with churches, but not in the vicinity of churches. Karl Patsch noted an anecdotal story that had been told by the villagers of Umoljani on the existence of the church beneath the village, at the place called Crikvina. 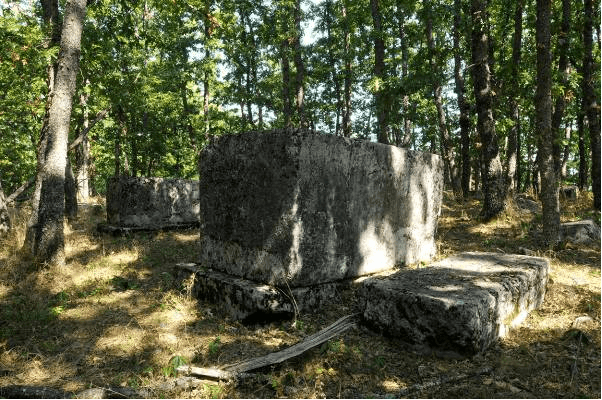 K. Patsch noted at the site that “carved stones jutted from the wasteland.” The existence of the building foundation / old church was recorded by P. Anđelić and Š. Bešlagić. 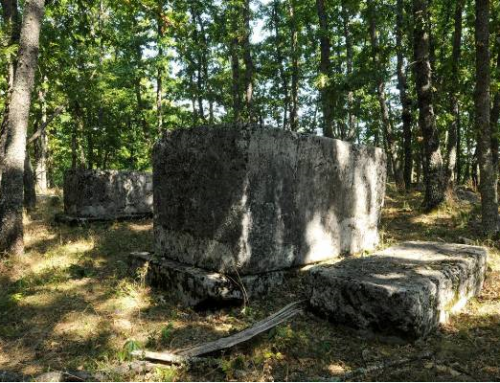 The existence of the church on the site is also supported by the fact that Umoljani was a cult centre in the Middle Ages for the neighbouring villages of Tušila and Šabići. 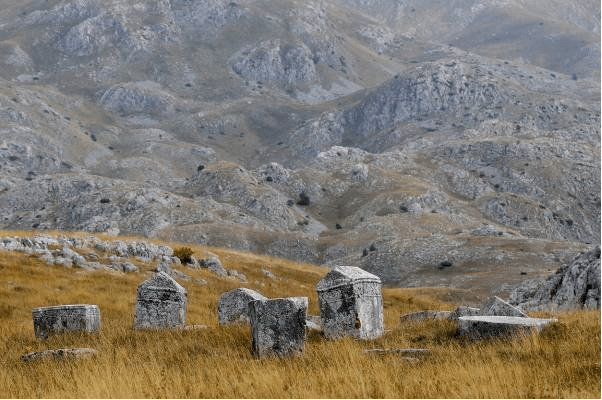 In the Summary List of sandjak of Bosnia from 1468/69, a part of the village of Umoljani, with 31 households, was registered as part of the reserve soldiers of Neretva. The village of Umoljani was mentioned in the census of 1488/89, the census of the Klis sandjak from 1550 and the census from 1574. There is a mosque in the village, at least 200 years old. The necropolis is located on the western side of the local macadam road. 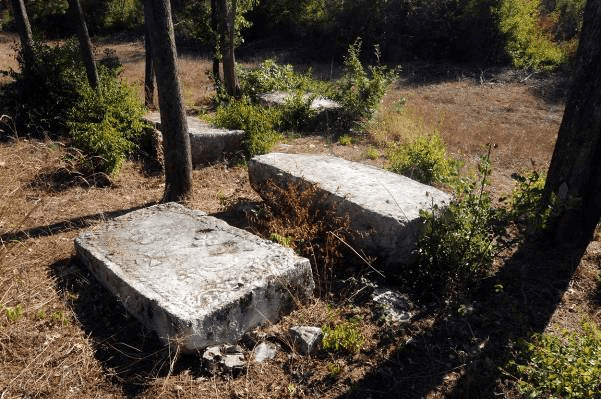 The tombstones are distributed at the sites of Dolovi and Crkvina on both sides of the road before the entrance to the village of Umoljani. 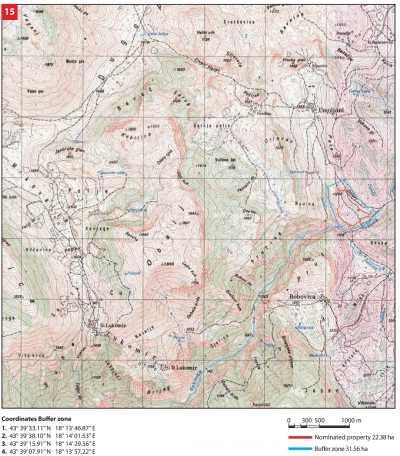 The national monument is situated in an area covering the following cadastral parcels: 2079, 2080, 2081, 2082, 2086, 2087, 2088, 2089, 2106, 2107, 2108, 2109, 2110, 2114, 2115, 2116, 2117, 2118, 2127, 2128, 2129, 2133, 2134, 2135, 2139, cadastral municipality of Umoljani, Municipality of Trnovo, Federation of Bosnia and Herzegovina, Bosnia and Herzegovina; private ownership – several owners. 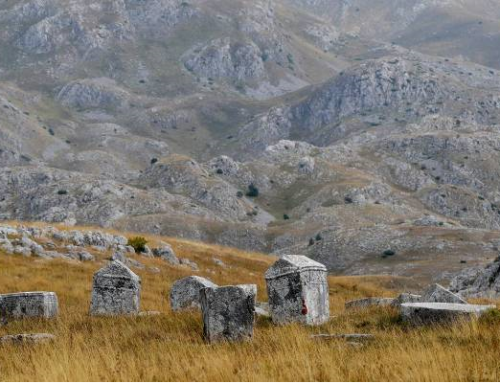 The necropolis with tombstones is located in the natural setting of the Bjelašnica plateau located in the triangle of Bosnia and Herzegovina high mountains: Bjelašnica, Treskavica and Visočica. The necropolis is located on the west side of a local macadam road. The condition of the site is not satisfactory. The tombstones are exposed to fast decay due to lack of regular maintenance. Some tombstones have been chipped, damaged, tumbled, partially or entirely sunken. 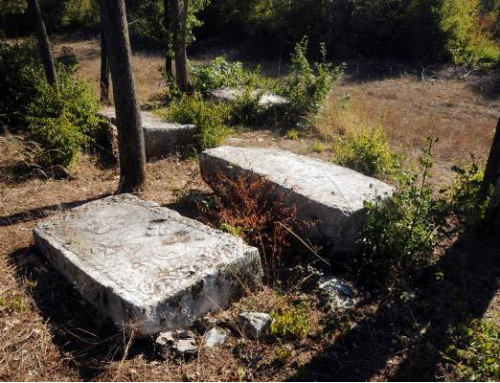 The site with the tombstones is located on a land parcel with no fence, which gives local inhabitants the possibility to use the parcel for pasture. The tombstones are largely covered by plant organisms (moss and lichen), some of which negatively affect the stone structure. The upper sides of the slabs are more or less damaged (cracks, splits, shallow cracks). Around 500 meters to the west from the necropolis, there is a tumbled, partially sunken and damaged tombstone on a hill. Contours of a building were recorded nearby, where a church mentioned in literature may have been located. 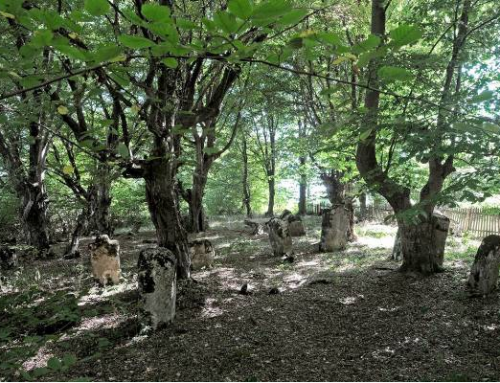 To the west from the secluded tombstone, on another hill around 200 meters away, five tombstones are found, entirely sunken and covered with grass and moss. An asphalt road to the village of Umoljani was constructed in this area after the war in Bosnia and Herzegovina 1992–1995. With vegetation revival, the area of the necropolis has been covered with grass and thorns, which additionally causes destruction of the tombstones. The site with the tombstones bears a risk of landslide from the western hillside in case of further expansion of the existing road. 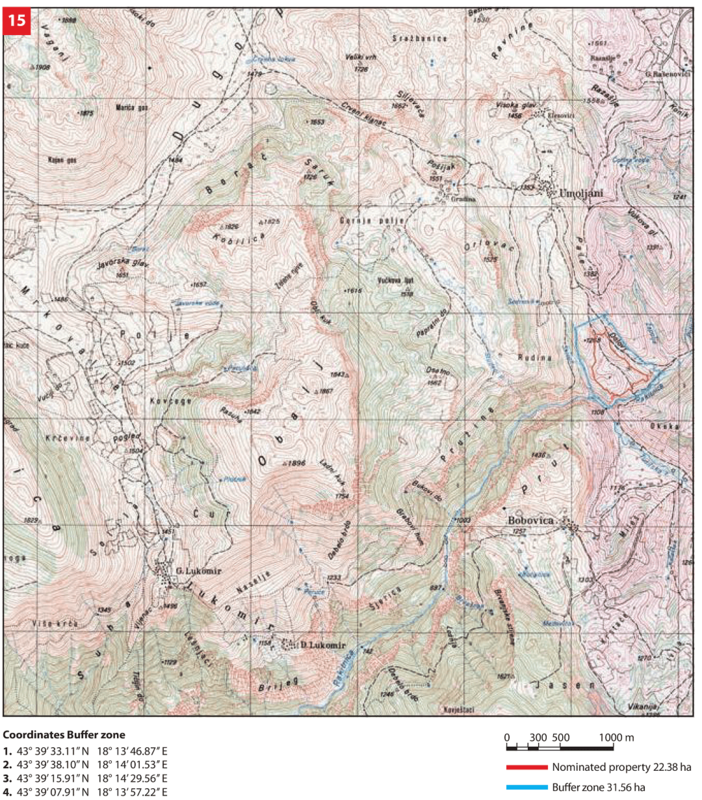 In 2011 the entire site underwent geodetic survey supported with photographs of individual tombstones thus enabling for implementation of a monitoring process. There are no settlements in the vicinity of the necropolis. The area may be endangered only by the effects of natural disasters (landslides, etc. ), since there are no environmental or development related impacts. The area in which the necropolis is located is encompassed by the Spatial Plan of the Sarajevo Canton for the period 2003–2023, as well as the Local Environmental Action Plan of the Municipality of Trnovo (LEAP 2006). The site is accessible by a local road although the access to the necropolis is not regulated. There is no visitor management plan or trained guides for the necropolises. Neither video nor printed materials were produced to promote the site. There are no employees designated to work on the protection and management of the site. It is necessary to build a catering and tourist infrastructure to provide services in the vicinity of the necropolis as well as to protect and secure the area. There are no relevant statistical data on the number of tourists visiting the Municipality of Trnovo. 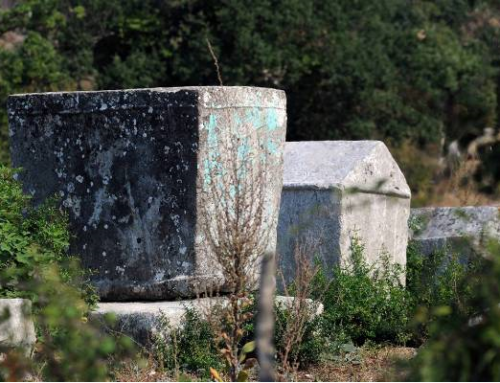 It is necessary to promote the site of the necropolis and the entire territory of the Municipality of Trnovo as an area rich in cultural and historical heritage.